Painting is a great way to spruce up your home, inside or out. However, if you aren't careful it can be much messier and more complicated than is necessary. This is a guide about painting tips and tricks. You'll keep the floor neater during the next painting job if you glue a paper plate to the bottom of your paint can, instead of trying to move newspapers under the container every time you set it down. Some jobs need all kinds of 'taping off'. Try using Press 'n Seal instead of tape. It adheres to itself and is so easy to get where you want covered up. I'm repainting a step stool here, and it was so easy to cover all the legs and step attachments. A lot cheaper than a roll of blue tape, too! I have been painting the house, so I have had to wash out my paint tray. I found a tip to avoid having to rinse out your tray for the next colour. Just put a plastic bag over your tray and push it down before you dump in the paint. When you're done, just remove the plastic bag. Out of masking or painters tape? When painting windows only, carefully rub Vaseline or shortening on the glass along the wood. Clean with dish soap when the paint is good and dry. Wrap a rag around the handle of your brush and it will catch any runs from the brush instead of your hand. When you are finished painting, make a quarter size circle on the lid so you know what color is in the can. Pour a small amount of the paint into a container you can hold in one hand; it keeps your can cleaner and you aren't carrying around a heavy paint can. Mark how much paint is left on the outside of the can. 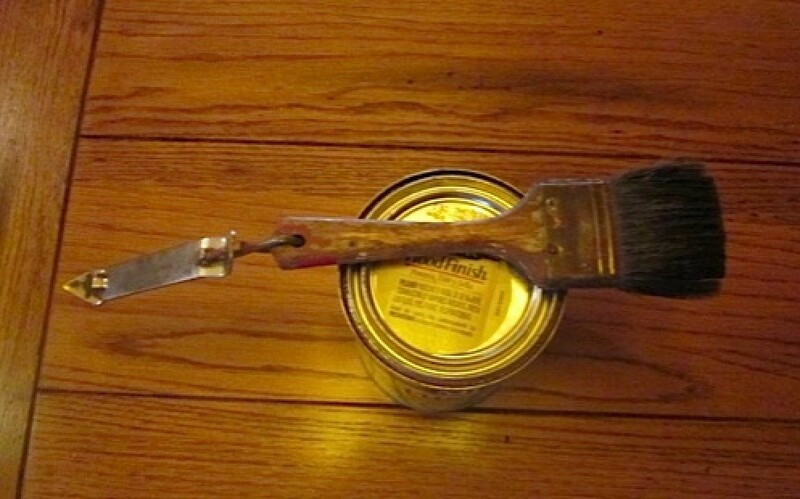 Punch a couple of holes in the rim under the lid for extra paint to drip back into the can from your brush. Wipe the extra paint out of the rim before putting the lid back on it will make getting the lid off next time much easier. 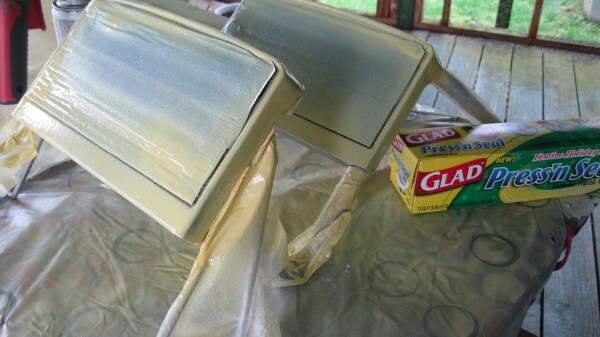 Lay plastic wrap on the surface of the paint sealing the air out, it will keep the paint from drying out. If you are going to be painting with the same roller or brush within 24 hours or so, tightly wrap both or either in plastic wrap and submerge in water. Place outside or in a cool place. Painting the inside door moulding around the hinges is a job I've never relished because it's picky work. 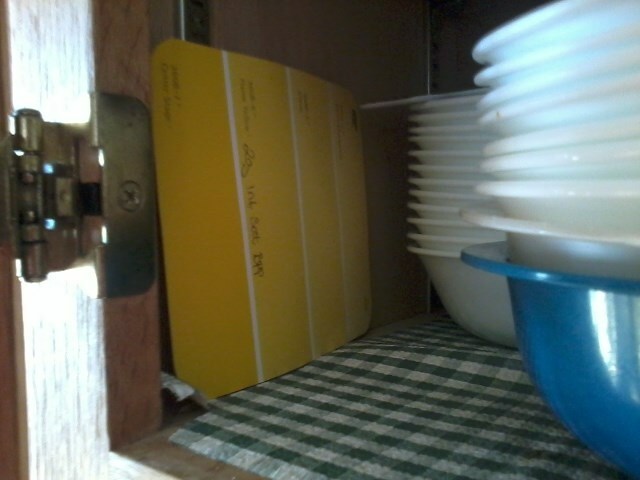 I always ended up getting paint on the hinges no matter how careful I was. It looked awful and needed scraping off when the paint was dry. In each room I store a paint chip from the store for that room. Should I need to touch up the paint for that room or want to repaint it, I have all the information on that card. When painting, don't take off door handles just cover them with tin foil. It makes the job a whole lot easier. I have been painting the last couple of weeks and all the rooms are different colors. To save a lot of work on clean-up I put the painting tray in a plastic grocery bag. When you are done painting a room just pull the bag off the tray inside out and throw in the garbage. When painting a room, if you find the touch-up tedious, use a tampon. This is how it works. Push a small portion from the applicator. Dip just the tip in the paint. Remove the drip. Blot on the mistake whereas your paint touched the ceiling or vise versa. I attach a can opener, to the end of a paintbrush, that is removable. This makes things so much more simple instead of searching for the opener every time. Keep a small container of your wall paint in your refrigerator for quick touch up jobs. The paint stays fresh and you don't have to drag out a heavy messy paint can for small jobs. Before painting, clean walls with white vinegar and let dry before painting. Inexpensive and easy. Also put your paint brushes in white vinegar and rinse well and dry before using. Want to save having to wash paint out of that paint tray or the cost of replacing one? How about the cost of liners? Use heavy duty aluminum foil. Save your larger used pieces and use the clean side in your paint tray. Apply a coat of lemon oil to woodwork if you are painting around it. If any paint spatters onto the woodwork, it will wipe off without any trouble. You are also conditioning the woodwork at the same time. When doing painting, staining, or polyurethane projects; I keep Wet Ones pop-up wipes handy to clean my hands, wipe off paint brush handles, or wipe up small accidents. Here's a tip that I use all the time. Wear your clothes inside out! Sweats work the best. When you're painting and you need to put your brush down it can be messy, not to mention losing it. Just use a hot glue gun and attach a magnet on to your brush handle. Then when you need to set down your brush it will stay right on your paint can. When you need a small amount of paint for touch-up check the craft department. Walmart has every color and they cost about $1. Keeping Paint Off Hinges. It can be difficult to put masking tape on hinges to keep paint off them. Instead, cover them with petroleum jelly. Always use blue painter's tape, not regular masking tape to mask areas when you are painting. Blue tape peels off easily, masking tape often doesn't. 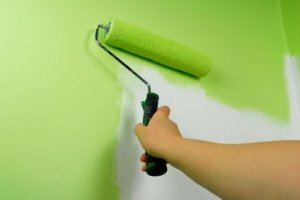 When painting, write down the brand of paint and color of paint and any numbers on the can that identify the type of paint. Keep this info in a binder or on your computer as a good reminder if you ever have to buy more. If you are painting and don't want to get paint on your shoes or the floor throughout the rest of your house, tie plastic grocery bags over your shoes. I used a 35.3 oz. 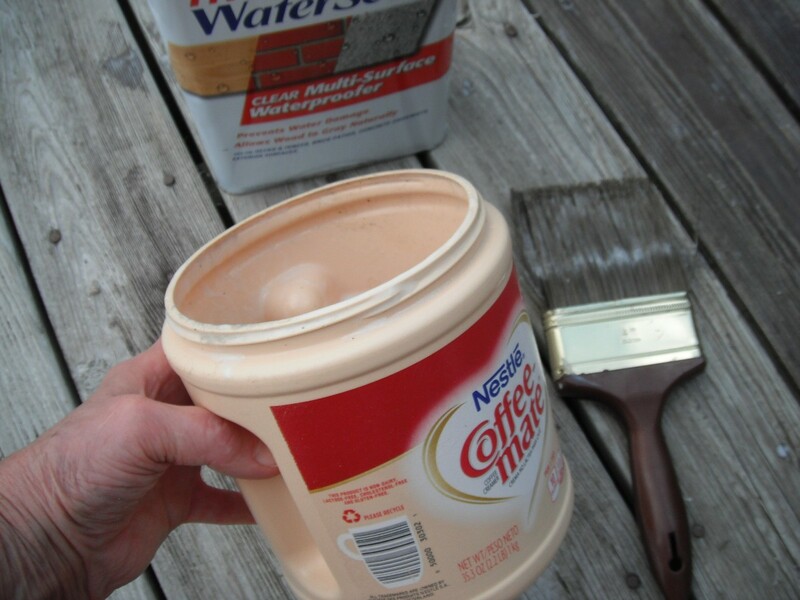 Nestle Coffee-mate container to apply water proofing sealer to our deck. The container is comfortable to hold and it made the job much easier. After I finished, I put it in the trash. When painting with toddlers, we put the paint in a plastic paint cup. I found there were no lids at the center where I'm working. I don't like washing the remaining paint out of the cups because it is so wasteful. When we moved in to our new home, we wanted to get the painting done before moving all the furniture. We supplied the paint and the food. Friends and family had an enjoyable time and the painting got done in no time. Do you ever notice how the trim next to the floor in your house collects so much dust and never seems to come clean? Try wiping all the dust, dirt, and food off the best you can. Quick Paint Touch Ups. Did you already clean your paint brushes but notice you missed a spot? Don't dirty a paint brush for a small touch up. Just use a q-tip and toss it when you are finished. Put plastic lids under each leg to help catch drips when painting. It's also good to put newspaper down, but the plastic lids will keep paint from soaking through the newspaper and staining the floor when applying paint to the legs. After cleaning a used paintbrush, put a rubber band around the bristles of the brush to help it keep its shape while drying. I have been painting my living room and find that, very often, I am called away from my work by a telephone call or a child needing help. I keep a large plastic garbage sack nearby and, when I am called away, I place my paint pan, with roller and brush and all, inside the bag and twist it a few times to seal.